AND THIS IS WHY!! Seeing the bookshelf in the Inspiration section of Walmart this afternoon reminded me of this. For me personally, when navigating through Christian Fiction sections of book stores and even Christian bookstores this is what I always saw. 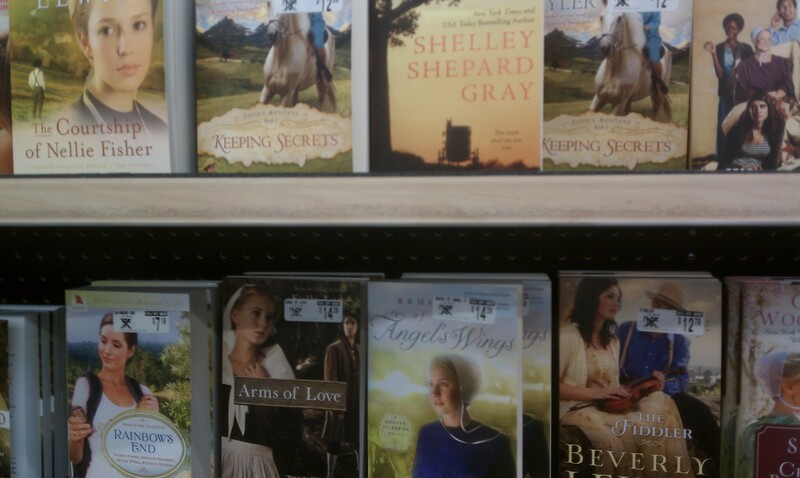 An abundance of book covers with some Amish girl named Rebekkah in her plain dress, apron and bonnet looking on while Jedediah stood in his suspenders in the background (clearly pining over Rebekkah) All of them. Really? There isn’t anything else Christian-y to write about? That doesn’t look like anything relatable to me. Thank God for the Ted Dekker’s of the literary world! Previous Previous post: In defense of children….